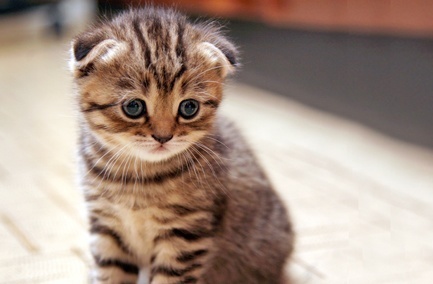 The Scottish Fold cat occurred as a spontaneous mutation in farm cats in Scotland. The breed has been established by crosses to British Shorthair and domestic cats in Scotland and England. In America, the outcross is the American and British Shorthair. All bona fide Scottish Fold cats trace their pedigree to Susie, the first fold-ear cat discovered by the founders of the breed, William and Mary Ross. Coat colours: There are long and shorthair varieties in many different colour choices: White, Black, Blue, Cream, Red, Tabby, Tabby and White, Parti-Colour and Bi-Colour.